This collection contains three best-selling Sam Reilly novels by the new master of action and adventure, Christopher Cartwright. 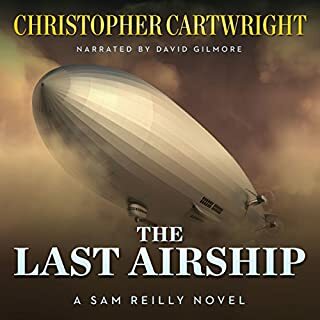 The Last Airship: In 1939, a secret airship departed Nazi Germany in the dark of night filled with some of the most influential people of its time. Its cargo: a complement of rich Jewish families carrying their most valuable possessions. One such item among them was as dangerous as it was priceless. The airship never reached its destination. 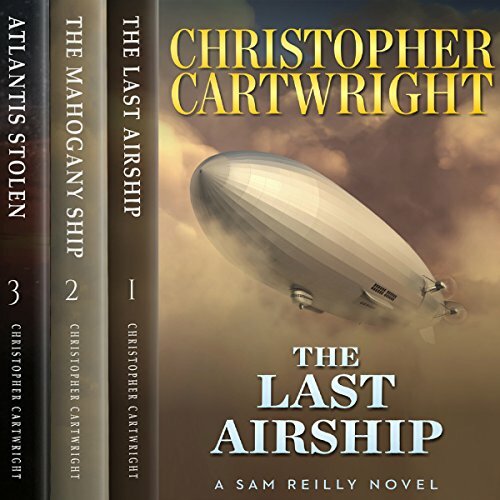 In 2015, Sam Reilly, a marine biologist and wealthy son of shipping mogul James Reilly, discovers a missing clue about the lost airship and what follows is a violent treasure hunt kept secret by the most powerful men in the world today, driven by their greed and need for that which all are motivated: the opportunity for unlimited power. The Mahogany Ship: An ancient shipwreck. A two hundred year old mystery. A plague that’s destroying all marine life. A pyramid half a mile below the sea. And a puzzle that must be solved before it destroys the human race. On the 18th of February, 1812, the Emily Rose became shipwrecked on the southern coast of Australia. The survivors are forced to walk nearly 1,000 miles through the unexplored land to reach the only settlement Sydney Cove. Nearly 200 miles inland, they come across the remains of a monstrous ship, far bigger than anything the British Navy had ever constructed. Through basic communication achieved with the natives, they learned that the ship had been there for a very long time, maybe 1,000 years. Despite the details of the mysterious ship in the journals from the survivors of the Emily Rose, no evidence that the mahogany ship ever existed was found - until now. A mining exploration in Australia takes a core sample 500 feet below the surface of a deserted mountain. The sample returns no evidence of gold deposits but something much more valuable - a single Spanish gold coin dated 1518. Could the origins of this coin finally reveal the existence of the fabled mahogany ship? Atlantis Stolen: A civilization stolen from the history books. A billionaire’s obsession to unlock its secrets. A brotherhood determined to hide the truth. And time is running out. Only a handful of people know what destroyed the ancient Atlanteans, whose very existence is a secret that they will kill to protect. Unfortunately, the very same catastrophe that destroyed that once proud civilization is drawing near once more. 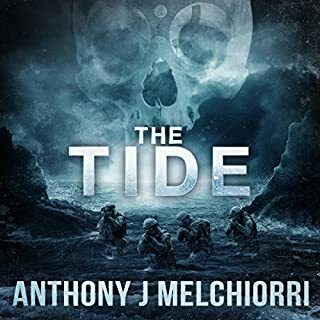 The question is, can marine biologist Sam Reilly discover the truth in time to prevent it? of well crafted stories and believable characters they are good entertainment. The narrator for all 3 Books does a good job in presenting these stories to the listener. Unstoppable mystery stories continuously listening. 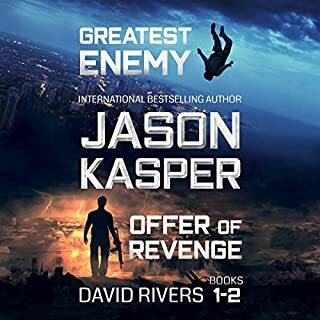 Lots of suspense and thrilling parts of this audio book. Narration is also good. 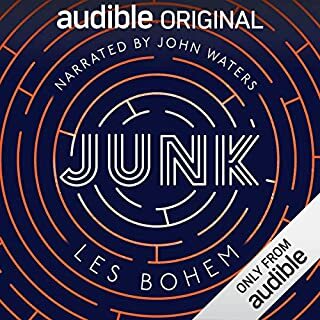 This is simply one of the best audiobooks I have had so far. You always want to know how the story continues. I particularly like the voice of David Gilmore. It takes you into the story in no time. The three books are connected / there is a development. I personally like the first book best. There is a pattern that repeats in every book: Something thrilling happens before the action in the book picks up - and then Sam Reilly tries to find out (today) what actually happened in the past. I like this pattern - in a way you know what is coming - and on the other hand you don't. This is the first three books of the Sam Reilly series! The Last Airship, The Mahogany Ship, and Atlantis Stolen. Each story is a standalone listen, with the common character of Sam Reilly featured in each book. The books are full of action, historical elements and vivid imagery. I love how the author weaves the mystery from the past into current situation. Sam Reilly has a penchant for peril and the duty to serve his country. Christopher Cartwright is a talented author who has a natural ability of suspense and action writing. 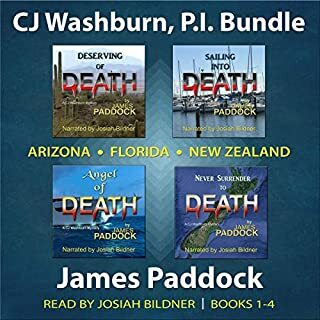 David Gilmore is the perfect voice for this series with his distinguishable voices for the numerous characters and adds to the enjoyment of listening. This was time well spent listening and worth a credit! This is a compilation of the first three books in the series.I really like the series.The first book is the best! In all we follow marine biologist Sam on his quest to answer questions and solve problems.There seems to always be a sinister plot.A really good read!David Gilmore was the perfect narrator.I was given this book by the narrator,author or publisher free for an honest review. This is the best series I have found recently! The author does a great job building this story layer upon layer! Action, mystery, history, all wrapped in a wonderful package! Each book starts with an “historical” chapter, then moves into modern day. Where the main character goes on an adventure to find long lost secrets. Each book then on its own is almost a chapter in a much larger story, well done!! If you are a fan of Indiana Jones, or even Bond, I highly recommend this series!! I can’t wait to start the next box set! Which is also a wonderful bonus, three books in one, and there are many sets to the series! I will be enjoying this story for a long time! I have received a free copy of this book, in exchange for an unbiased review. This is a fun series. A thriller where the hero isn’t a jerk, a player, or an assaying, and a woman always seems to save the day. Excellent. The narration was great. I would listen to this narrator again. The stories were well written. Highly recommended. Believable characters. This book combines the three Sam Reilly novels by Christopher Cartwright into one big file. I had already listened to the first two and provided reviews for those, so I won't rehash the whole reviews here. Christopher Cartwright's series is like a modern day Indiana Jones and also in the vein of Clive Cussler. Sam Reilly is a wealthy marine biologist and his father is even more wealthy. In book 1, Sam finds a clue to a legendary airship that fled Nazi Germany in 1939 carrying a group of wealthy Jewish passengers including a scientist who had developed a deadly virus for Hitler, but could not go through with giving it to him. The ship disappeared and no one has any idea what happened to it. Sam finds himself fighting to stop a group that also wants to find the ship with the goal of getting that virus. Next Sam is hired by a wealthy man who runs mining operations all over the world. A clue is discovered to a ship that disappeared in the 1500's, with a lot of gold and a mysterious scepter that can give the bearer unlimited power if used properly. Sam learns he has been tricked by the man who hired him and must stop him from carrying out his master plan. Finally, Sam's long time female friend, Billie, has discovered clues to the location of Atlantis. She has also learned that Atlantis has some kind of machine that has been used at various times in history to wipe out everything on Earth and start anew. And it is going to go off again in about 6 weeks. Two other men are after the secret of Atlantis as well, so Sam and Billie go in different directions to find the pieces of the Atlantis code that were separated millenia ago to keep someone from getting the entire code. Overall, these are exciting adventures full of Bondian villians, and all the elements of typical adventure stories. Sam is a complex character and we find out more about him in each book, along with his friends and cohorts, Billie and Tom, and his sometime girlfriend Aliana. The narrator is, in a word, awful. David Gilmore delivers his narration like the narrator of 50s and 60s government educational films shown in schools. Worse are the voices for the characters and the quirky delivery of lines that make everything sound like Father Knows Best, Everythings Fine, Just Fine even in the direst of situations. Once getting used to this narration, I was able to focus on the story more and could figure out in my head how the lines should have been said to deliver the proper meanings. Cartwright's words are better than Gilmore's narration! Overall, I enjoyed the series and look forward to more from Cartwright. An intriguing blend of real history, legends, and fun, modern adventure stories. The history, intricately woven throughout each book, adds a plausible what-if feeling to the storyline, which I really enjoyed. Quite a few times I thought I had figured out what was going to happen, or why, but I was pleased to discover that I was wrong more often than not. At the end of each book I was already looking forward to the next. The narration was clear and easy to understand at all times. I didn't have to rewind for clarity even once, and I cant say that about most audio books. To me, the style these books are written in is reminiscent of the old style adventure novelists like H. Rider Haggard - who wrote King Solomons Mines and its sequel plus many other novels. The author kindly gave me a free copy of book three and I was only halfway through listening to it when I knew I had to stop and read the first two before I finished it and was very happy to find this compilation. If you want an adventure story that is just that without the gory bits that often are added to modern novels just to colour it but don't actually add to the story. 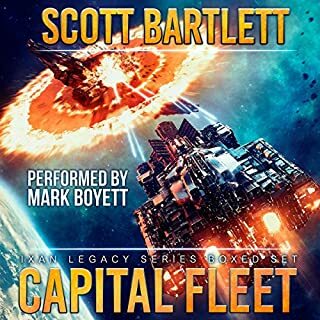 I have now listened to all six available on Audible and am sad the rest of the series so far is not available via Audible. I hope they read this review and consider adding them as listening via Kindle is just not the same. A bit too like a Cussler story for me but still enjoyable. The narrator was good. If it needs finding, Sam Reilly's your man. First three books in Sam Reilly series. Ex marine Sam, now working for his father cleaning up disasters, is drawn into a hunt for a missing airship, then a mysterious ship and finally Atlantis. Good series of books, that need to be read in order, as it is a continuous story line. Well narrated by David Gilmore, he keeps the stories moving along nicely and his performances get better with each book. first book I've given up on. Not sure how story would progress but couldn't listen to the narration any longer. Very stinted and terrible attempts at German accents. Sounded more Irish/ Scottish at times. just removed from device. Disappointing series... first book was ok but predicable. However the series just seems like a screen play with the author looking to create the next action hero. All big set pieces of action that might look ok on screen but would need huge amounts of CGI. All characters are billionaires and beautiful. Narrator....why would you choose a narrator who cannot do accents for a book with international characters? Australian accent was worse than mine - my kids laugh at mine. All characters apart from Sam Riley are given a strange high pitched German accent - even the male American ones. I love Sam as a lead. I also really like the friends he has gathered around him who can easily step up to take over being the main focal point at different points. All the characters are well written. The story or rather stories are all brilliant. Brilliant detail and descriptions and a great pace that moves us along. Quite literally I was hooked within moments. This is a must read/listen too series that you really want to check out! I stumbled across this series by accident and am a first time listener to this genre. Very pleasantly surprised; an engaging and interesting listen. The narrators attempts at accents are quite amusing at times, and I think some of the cadence and intonation decisions are a bit odd, but overall a very enjoyable book.